Possibly adding to a 2016 deal, a report from South Korea has emerged claiming that Apple has entered into a $4.3 billion contract with Samsung for 60 million 5-inch OLED screens potentially destined for a next-generation iPhone. The rumored deal, originally reported by the South Korean Pulsenews service, cites sources familiar with the matter. The latest deal is for 5-inch screens, with a larger deal for 100 million 5.5-inch screens rumored to be signed in 2016 for delivery in 2017. If accurate, Sunday's report will be the first one claiming that Apple is sourcing 5-inch OLED displays for a future iPhone. Neither Apple nor Samsung have confirmed either the latest reports, or the three-year deal from 2016. Other than Samsung, there are several vendors of OLED panels. However, at this time, none come close to approaching the volume of the Samsung fabrication plants. Samsung holds the vast majority of OLED technology patents, and in 2010 held 98 percent of the share of the OLED smartphone screen market. Apple's long-time iPhone screen supplier Japan Display received a $636 million bailout from a Japanese government-backed investment firm. 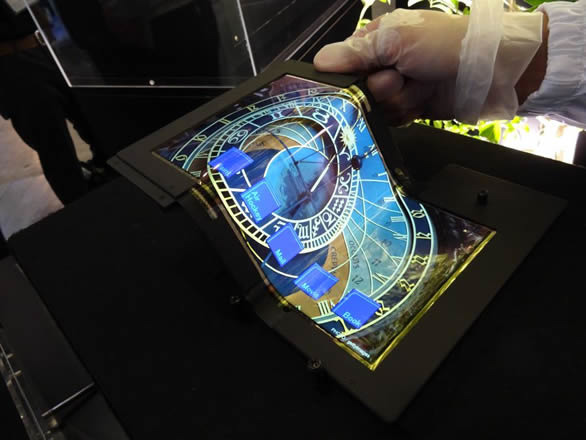 It dedicated part of the investment into buying a controlling stake in Joled, an OLED firm created out of units formerly belonging to Sony and Panasonic. When the investment in Joled will be productive for Japan Display is not clear. Despite efforts by other companies to mass-produce OLED screens, the percentage of Samsung displays in the market has only fallen slightly to 97.7 percent in April of 2016, with manufacturing problems being the primary hurdle to wider success by others. Apple currently only uses OLED displays in the Apple Watch, and for the Touch Bar in the 2016 MacBook Pro. But, the rumor mill predicts that Apple will launch three new iPhones in Sept. 2017. The premium "iPhone 8" could cost more than $1,000. Design features of the "iPhone 8" include a glass back and curved edge-to-edge 5.2-inch OLED display, concealing a Touch ID sensor and FaceTime camera beneath the screen. Apple is also expected to launch immediate successors to the iPhone 7 at the same time, sized with the same 4.7- and 5.5-inch screens. Reportedly, the "iPhone 7s" family retains LCD display technology.